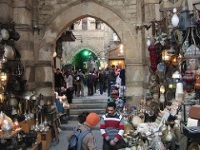 Visitors have come for years from far and wide to experience Egypt's world-famous attractions for themselves. 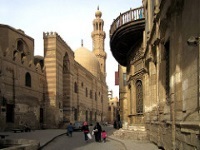 Cairo, the capital, houses the market place Khan el-Khalili, the Egyptian Museum, and the necropolis at the City of the Dead. Just outside stand the iconic pyramids of Giza, and the Sphinx. To the north sits the port city of Alexandria. Founded by Alexander the Great, the city is home to the Pharaohs Lighthouse, one of the seven wonders of the ancient world. 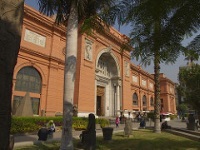 The city is at the estuary of the Nile. One of the best ways to experience Egypt is a boat cruise down this mighty river. On the banks of the river lies Luxor. 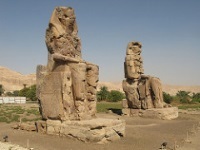 Built on the ancient site of Thebes, Luxor is home to the Valley of Kings and the tombs of Tutankhamun and Ramses II. 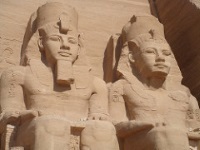 Further south Lake Nasser offers peace and quiet, and visitors can take a multi-day cruise from Aswan to Abu Simbel, the site of the great temple of Ramses II. The Red Sea is world-renowned for its scuba diving. Holidaymakers flock to resorts such as Hurghada for the warm waters and abundance of ocean life. In stark contrast are the plains of the Sahara. Egypt plays host to a corner of this arid landscape, featuring the rocks of the White Desert, and the palms and olive trees of the Siwa Oasis. If you've ever dreamt of being an explorer, the ancient world awaits.